Your CPQ setup can do more for you if it accurately reflects your pricebook. Until then, you have an unscalable CPQ slowing you down. That’s where we found Centrify before our engagement: utilizing CPQ (nice!) but struggling with a complex pricebook that didn’t quite match the CPQ platform that has been set up (not so nice). 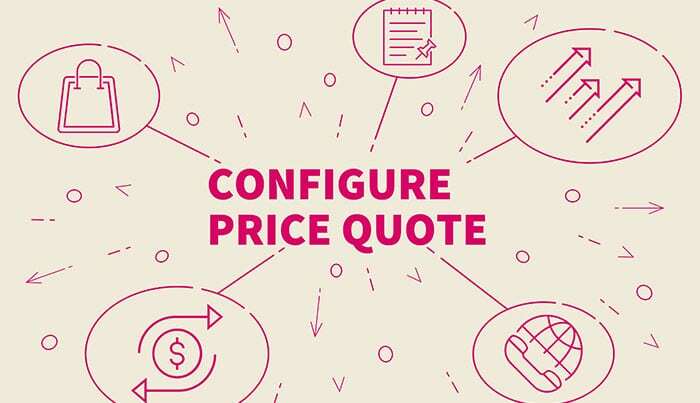 With about 2,000 items in their pricebook and a new pricing model, Centrify had an abundance of different product combinations and offerings that needed to be organized. 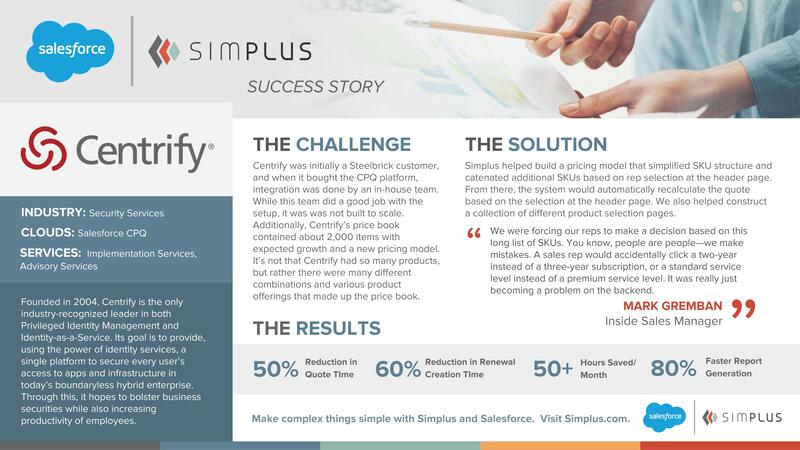 Simplus helped build an appropriate pricing model that reflected Centrify’s offerings and simplified the SKU structure. This led to automatically recalculated quotes and 80% faster report generation for Centrify.